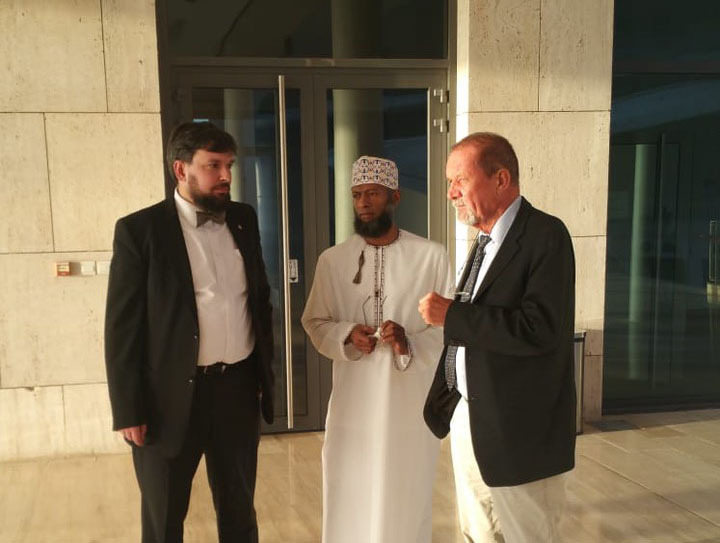 Lukas Ferkl from Energoklastr visited the German University of Technology (GUTech) in Oman on January 24, 2019. During the meeting with the president of the university, prof. Michael Modigell, one of the points was the concept of hybridGEOTABS. GUTech has a demonstration building called Ecohaus, where TABS and heat pumps are used as primary cooling devices. The experience from operation in the conditions of Arabic peninsula shows that the TABS system is sensitive to air humidity, as water tends to condensate on the ceiling in summer. This might be a topic for further research and application of the hybridGEOTABS system.